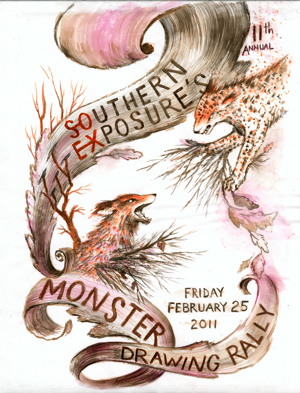 I’ll be participating in Southern Exposure’s Monster Drawing Rally for the 2nd year in a row. If you’re in the Bay Area, don’t miss this super fun event! A great opportunity to add some tasty art morsels to your collection. You are currently reading Drawing Monsters at Kevin Earl Taylor.